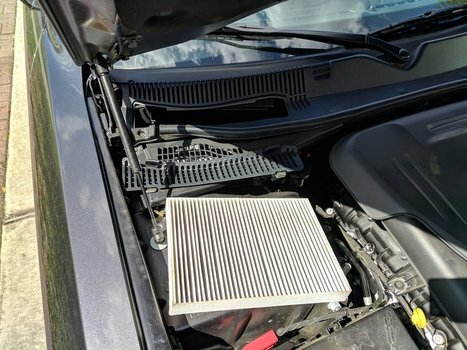 Learn how to change any 2011+ Dodge Challenger, Dodge Charger, and Chrysler 300 cabin air filter. 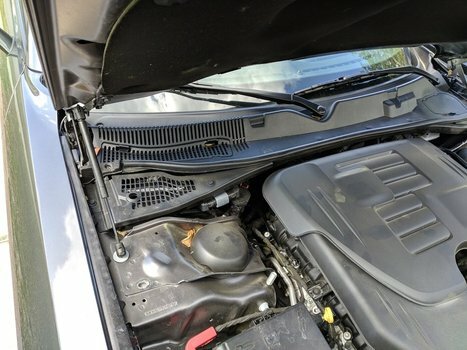 The manufacturer's schedule says to replace it every 20,000 miles or 2 years. This guide includes all the parts needed to get the job done quickly. This is a really easy job, no tools required. 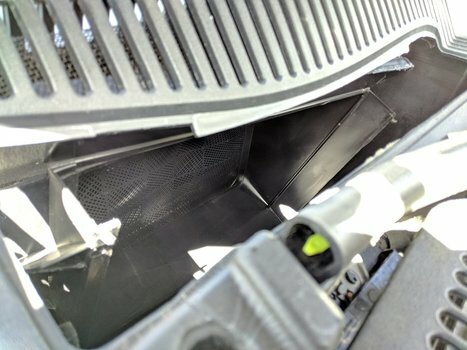 It applies to all the cars using this chassis (that's why it applies to the Challenger, Charger, and 300). The top of the filter has a little hinged cap holding it in. Just pull upward on the front edge, it'll flip up. The only problem is when it flips up - it hits the plastic panel above it - keeping it from easily moving out of the way. 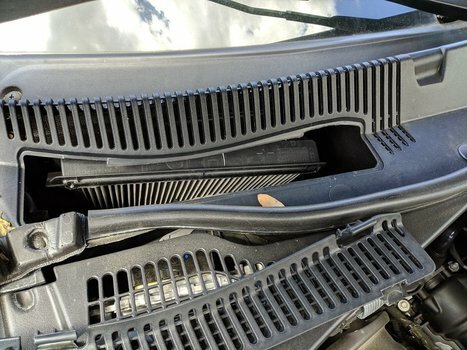 You may want to remove a few of the cowling plastic trim bolts to give it room to pop up. I was able to get enough room by forcing it up and flexing the plastic cowling panel out of the way. Remove the filter. Just pull it up and out of the housing. I had to squish mine a bit to get it out. The new filter goes in one way - check to see that the arrow on yours is pointed the correct direction. 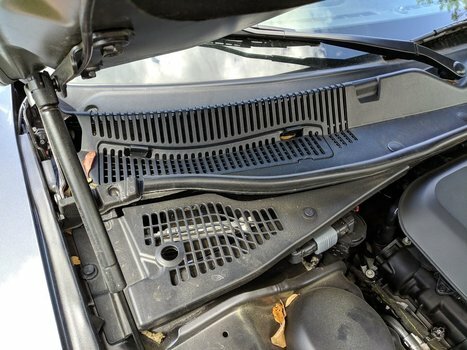 Below you can see the cabin air filter hole without the filter. I placed one side in and squeezed the other side in place. 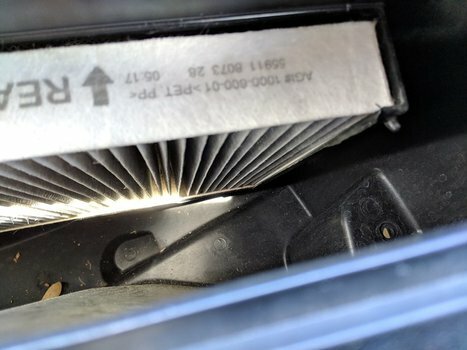 Take car to make sure the filter sits in the slot correctly. I had to pinch and pull on mine a little bit to get the front flush against the plastic lip.